With a heavy heart, I mourn the loss of the first dog that I loved outside my dogs growing up. Little Hankie was a nervous, sweet little soul of a dog. He was given to me by my husband in 2004, to soothe my loneliness when my husband and I first moved to the Florida. During my husband’s endless hours studying in law school and being alone in new state, in my first dietitian job that left me feeling overwhelmed, Hank gave me my first lessons in being less self-possessed of my own time and reminders of the humility of being unconditionally loved. I have a large extended family and grew up with many animals living on a farm and have the experienced the cycle of life and death many times, but never have I felt the jolt of a sudden, one day everything-is-the-same, the next day, it’s forever changed feelings of shock, sadness and doubt. There was not preparation for Hank’s passing yesterday. With this much intense emotion, it was a reminder that when food is an emotional management tool, it is very clear where you sense emotion in your body and how temporarily, eating past fullness, eating when not hungry or not eating when hungry can help us ignore it, push it down and soothe the pain. 15 years ago to deal with the sickening, hollow pit in my stomach, pounding of my head, aching, throbbing throat and heaviness from head to toe, I would have ignored my hunger. I would have blown off the hunger to eat food that best matched what appetite I did have. No way would I have reached out and talked about my sadness and ask for love, peace and comfort from others who I knew Hank and know how much we love him. 15 years ago my ED and diet voice would have made all of this “too much” to be a good reason to not eat or ignore when I knew that I was hungry, go to the gym when I had no desire to do so, eat half-baked cookies when I did eat and further push down my sadness with chores, perfectionism, work or whatever else would help me keep below the surface the aching and confusion. It can be very difficult to stay right in the line of the wave of emotions as they come up. As I write this, I feel a wave of nausea that is sadness, which makes it difficult to sense the presence of or lack of hunger at this moment. But because I am going to feel it, tear up and allow it to come, the moment will pass and make room for more clarity all of my sensations. I was grateful yesterday for being an attuned eater because allowing all the sadness and shock in the moment made my signals of hunger and fullness clear. It meant that when I thought of him as I ate a meal, I felt the tightness in my throat, took a breath, checked in at what hunger and fullness level I was and continued on with the meal with clarity. I could tell my interest in the food, even in the good food that I made a priority of providing us was less than usual. I ate to a fullness level that left me satisfied, not just a “get by” place that would not serve the grieving work that lay ahead. 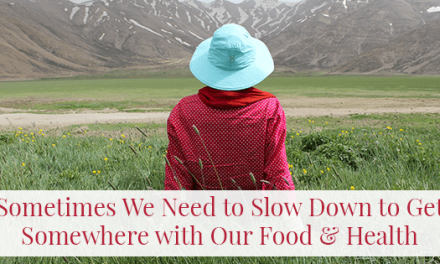 Allowing all of our experience and needs can make the need for food just part of the moving forward during a difficult moment, not just an annoyance to ignore. The sadness deserves our attention, not the temporary placation of eating when not hungry, or constant running from the pain on a treadmill. 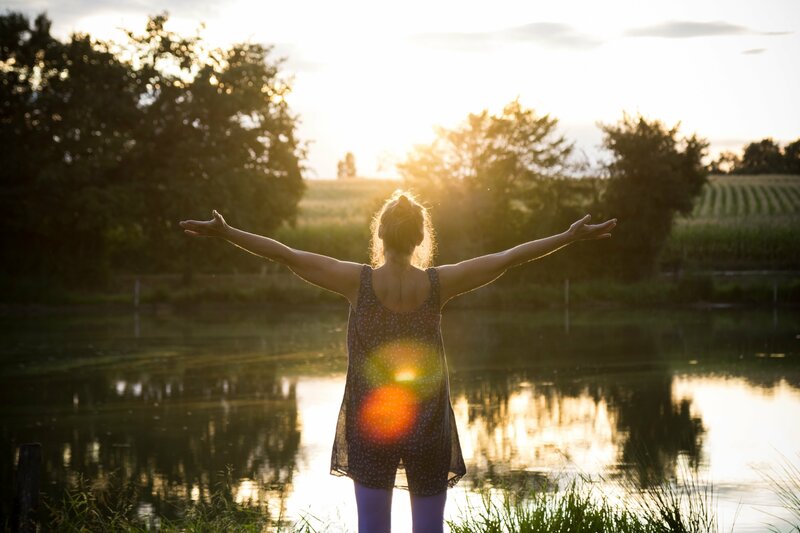 It’s understandable if you find yourself there; I have in the past but with practice, you can learn to be in the moment with your experience without food being part of the equation other than to fuel the healing in your life. If you have questions on how to handle food when life feels unbearably heavy, please share below and let’s discuss how lasting comfort can be found. Please share for those who could benefit. I am so sorry to hear about the loss of your Hank. Thank you for sharing such open and raw emotions. You are a true inspiration. Praying for peace and comfort in your time of mourning. Thanks Toni for your kind words. Being real certainly is helping me, which I hope helps others. Thank you Lynne. He was a part of the family. Thanks Stacia, we are all in this together it seems. I know Hank fancied sitting in your lap a time or too! Thanks Stacia, it seems we are all in this together! I just wanted to say I am sorry about your loss of Hank. Thank you for being open. I also wanted to say I always enjoy reading your post. Your post usually get me thinking. As I was reading this it definitely hit home with the talk about emotions and continuing to eat. It always helps to read about someone else being able to make it through the hard times and still continue with attuned eating. Gives me hope. Again so sorry about your loss and will continue to pray for peace but also thank you for sharing this post. That is why I wrote this. To provide hope that even in a rough time, we can stay present to ourselves and that it is possible.